Home » About Us » Our Doctors » John Callaghan, M.D. 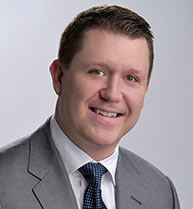 John Callaghan, MD is a fellowship-trained and board-certified orthopaedic trauma specialist. His expertise encompasses the treatment of acute traumatic injuries, including complex periarticular fractures, pelvic and acetabular injuries, and polytrauma. He also treats the complications arising from orthopaedic injuries, such as fracture non-union, malunion, infection, and post-traumatic arthritis. Dr. Callaghan completed his undergraduate education at the United States Air Force Academy and Washington University in Saint Louis, where he graduated with honors. Dr. Callaghan earned his medical degree from New York Medical College. He completed residency training in Orthopaedic Surgery at Seton Hall-St. Joseph's Regional Medical Center and served as Chief Resident. Dr. Callaghan then completed an orthopaedic trauma fellowship at the renowned Parkland Memorial Hospital in Dallas, Texas, where he became skilled in the latest techniques in orthopaedic trauma surgery. While at Parkland, Dr. Callaghan also gained expertise in the percutaneous treatment of pelvic and acetabular fractures under the guidance of Adam J. Starr and Charles M. Reinert, two of the most distinguished innovators in the field. He is an active member of the American Academy of Orthopaedic Surgeons (AAOS), AO Trauma Foundation, and Orthopaedic Trauma Society (OTA). Dr. Callaghan has published numerous articles in peer-reviewed journals, as well as presented research and given instructional lectures at various meetings and conferences. His work covers topics ranging from orthopaedic trauma to adult joint reconstruction.